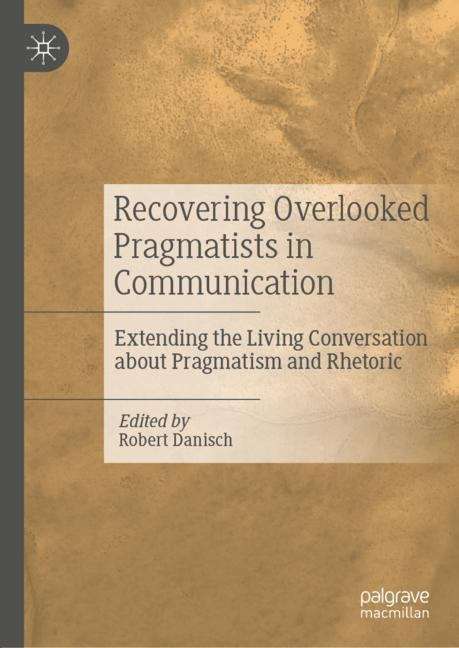 This collection of essays engages with the current resurgence of interest in the relationship between American pragmatism and communication studies. The topics engaged in this collection of essays is necessarily diverse, with some of the figures discussed within often viewed as “minor” or ancillary to the main tradition of pragmatism. However, each essay attempts to show the value of reading these minor figures for philosophy and rhetorical studies. The diversity of the pragmatist tradition is evident in the ways in which unlikely figures like Hu Shi, Ambedkar, and Alice Dewey leverage some of the original commitments of pragmatism to do important intellectual, social, and political work within the circumstances that they find themselves. This collection of essays also serves as a reminder for how we might reimagine and reuse pragmatism for our own social and political projects and challenges.